Principle objective of this article is to Explain Steps of Investment Plans. here briefly explain some Steps in Investing, they are: Meeting Investment Prerequisites, Establishing Investing Goals, Adopting an Investment Plan, Evaluating Investment Vehicles, Selecting Suitable Investments, Constructing a Diversified Portfolio and Managing the Portfolio, this article shortly discuss on these steps. 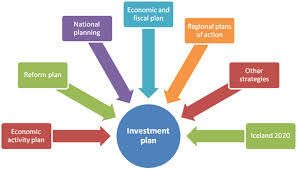 Here also explain some effective steps of Investment Plans, like Considering Personal Taxes, Investing Over the Life Cycle, Investing In Different Economic Conditions, Stocks and the Business Cycle and Bonds and Interest Rates, here explain broadly with examples.